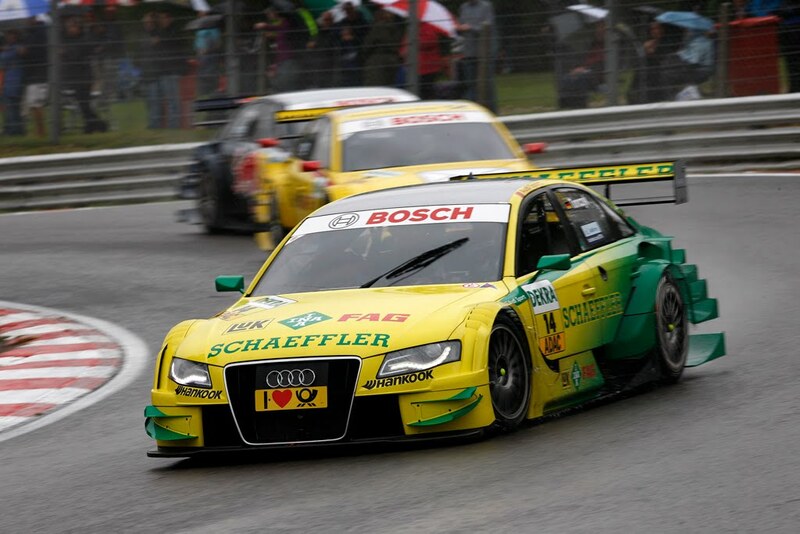 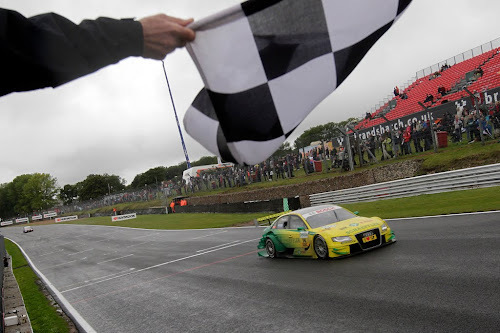 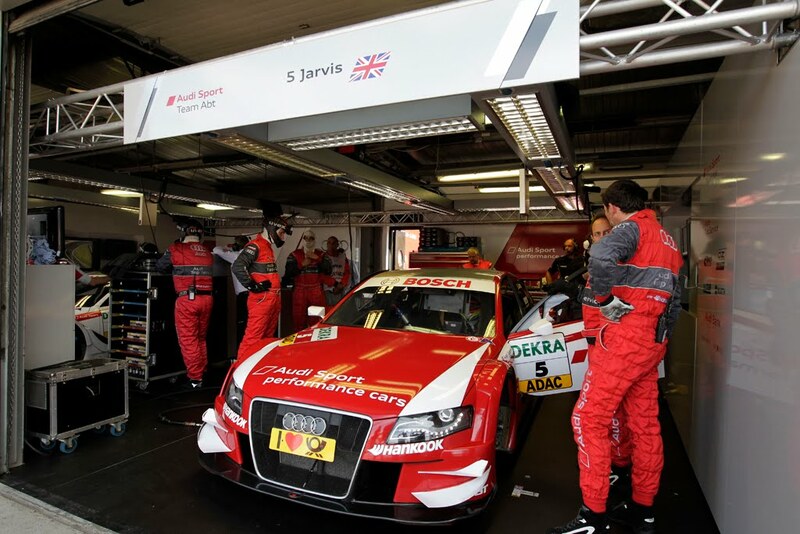 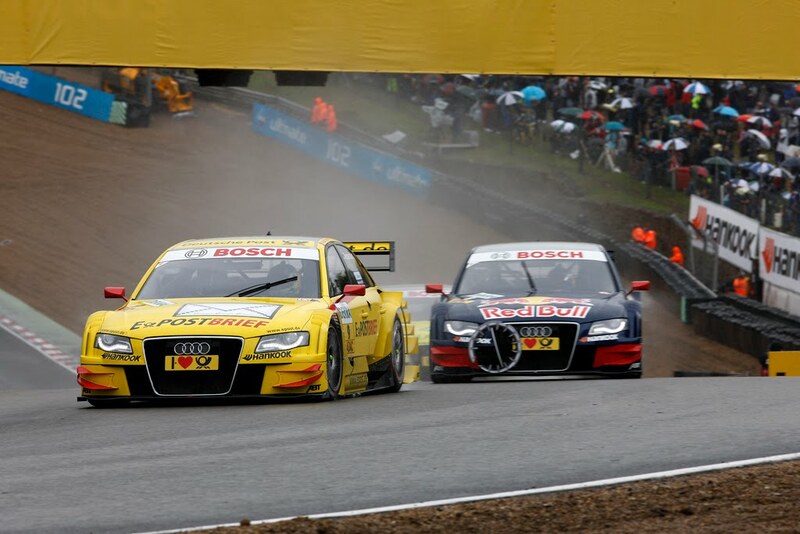 With a 1-2-3 result, Audi absolutely dominated Sunday's DTM race at Brands Hatch. 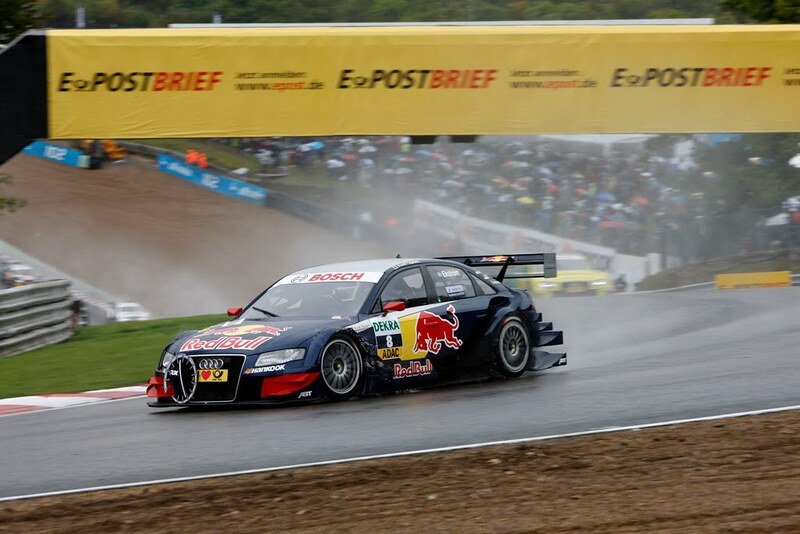 Taking first place was Martin Tomczyk, who now counts three wins for the season and recaptures the DTM points lead. 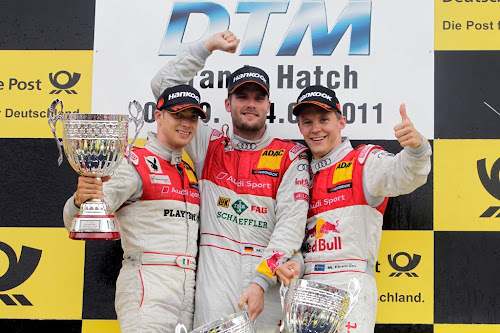 Following Tomczyk was Mattias Ekström in second and Edoardo Mortara in third. Also, this marks the first time that drivers from all three Audi teams have reached the podium in the same race. 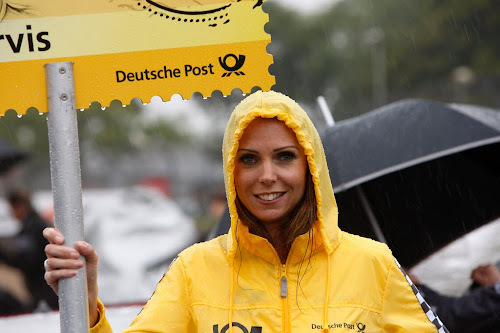 Full report after the jump. Ingolstadt/Brands Hatch, September 4, 2011 – With his third victory of the season Martin Tomczyk recaptured the DTM lead for Audi at Brands Hatch (Great Britain). Mattias Ekström and Edoardo Mortara completed an Audi one-two-three triumph in extremely difficult conditions. 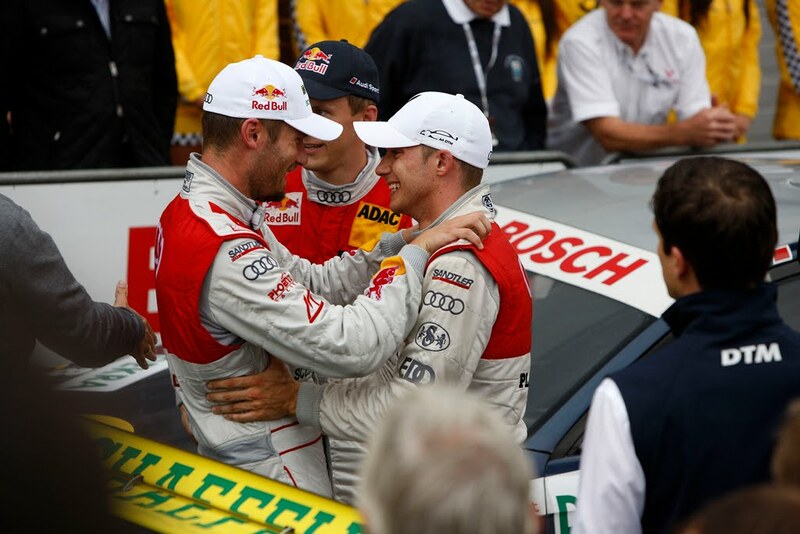 For the first time drivers from all three Audi teams were on the podium. At the start the quickest in qualifying, Mike Rockenfeller, initially took the lead, followed by Mattias Ekström, who overtook ex DTM champion Gary Paffett in the notorious "Paddock Hill Bend” on the outside of the wet track. 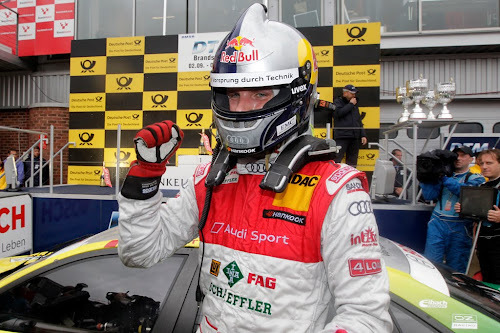 As early as on lap two Martin Tomczyk and Edoardo Mortara managed to outwit Paffett as well – which meant that four Audi A4 DTM cars were running in the top four places. 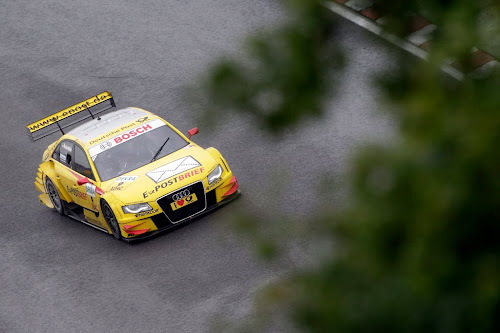 Audi’s chances for a 1-2-3-4 result were thwarted by Ralf Schumacher: The former Formula 1 driver touched the rear of Mike Rockenfeller’s car and forced the quickest in qualifying into a spin. "I don’t understand that he didn’t receive a penalty for that,” complained "Rocky”, who dropped to sixth place and in the final phase kept Bruno Spengler at bay.